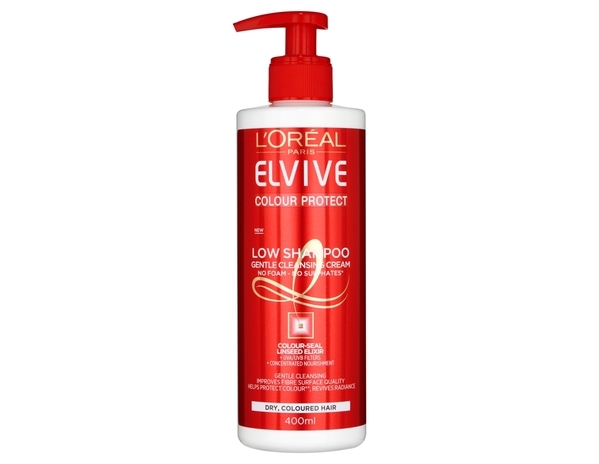 Home / HairCare / L'oreal Elvive Low Shampoo - Have You Started? L'oreal Elvive Low Shampoo - Have You Started? 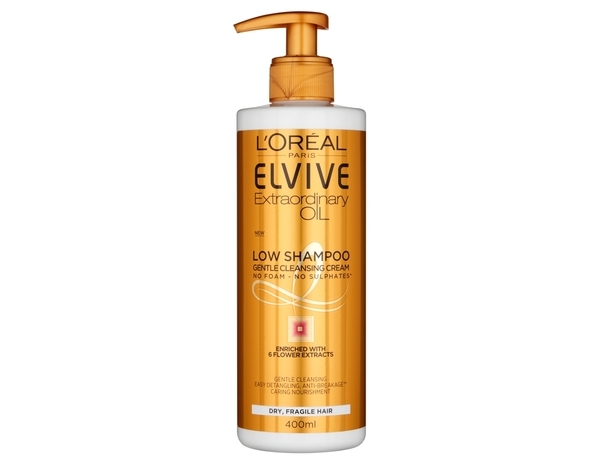 All hair care fanatics get ready to discover the new L'oreal Elvive Low Shampoo, the gentle way to wash your hair in one simple step. The cleansing creams have a no foam and no sulphate formula, which both conditions hair and gently removes impurities. If you feel your over washing your hair, then you can start low shampooing in place of your existing hair care regime 1-2 times a week. Available in three choices to suit your hair type and condition, all you have to do is pick the one that you are wanting to achieve with your hair. Each bottle is clearly labelled and a different colour to each one in the range, so you wont and cant get mixed up when trying to spot it on the shop shelves or when you reach over to use it when showering. The pump applicator is a great initiative when using any one of the products out of the range. You can count how many pumps you are using when placing the product in your hands and then distributing through your hair. 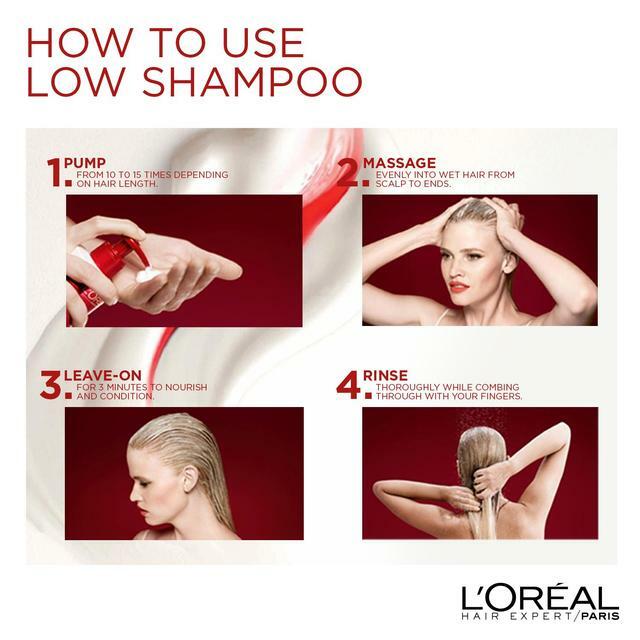 How To Use Your Low Shampoo? Step 1: PUMP: On wet hair, apply 10-15 pumps from roots to ends depending on your hair length. Step 2: MASSAGE AND LEAVE: Distribute evenly and massage gently from root to tip. Leave on for 3 minutes. Step 3: RINSE: Rinse thoroughly while combing through with your fingers. Coloured hair can become dry and fragile from home colouring, styling and even using the wrong shampoo. 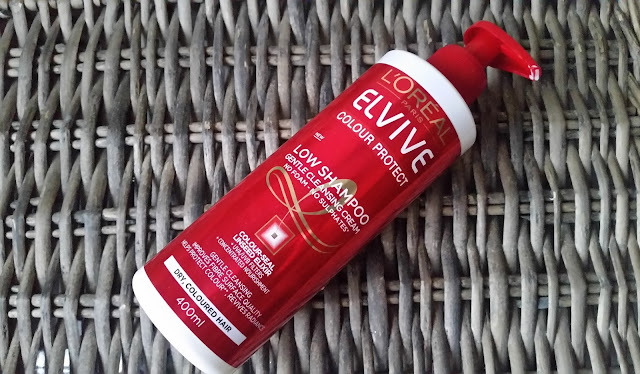 The colour protect low shampoo enriched with linseed oil extract, helps you to break the cycle of over washing your hair by gently cleansing whilst still nourishing, so your hair will feel clean but not stripped of its important moisture. Using any shampoo with sulphates will leave your hair more drier, not great if you have dry hair to begin with and will strip your colour faster. It will take some time getting used to using a low shampoo as the consistency is different and we have been so ingrained to use a shampoo and conditioner separate. Using only 1-2 times a week is a great option to stick by, as if you are a heavy user of styling products you can use a great clarifying shampoo to remove product build up that will also help to improve your hairs condition. The 400ml bottle will last you awhile depending on how many pumps you use to cover your whole head. I only needed about 7 pumps for the creamy consistency to saturate every strand whilst also massaging my scalp. Leaving on for 3 minutes and then proceeding to the rinsing stage, the colour protect cleansing cream rinsed out really easily. 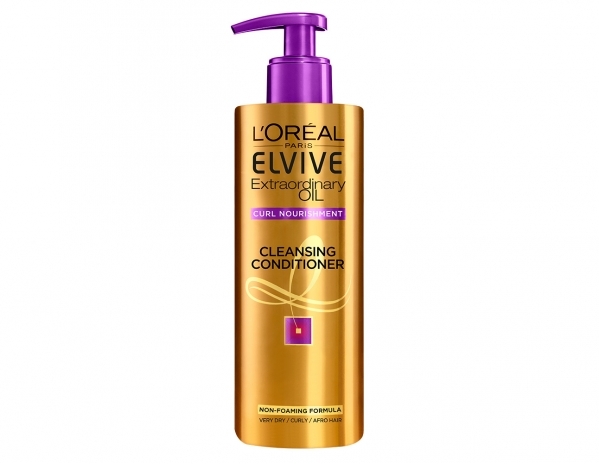 I could feel my hair become soft when rinsing and my hair felt clean, smooth and more moisturised when it had dried. The low shampoo is quick and easy to use, which is great for those mornings when time is against you and is really easy to incorporate into anyone's hair care routine! X Neil.